Could this really be possible? Could David Beckham really be the missing piece of the AC Milan puzzle, the piece that so far prevented the Rossoneri from a achieving a consistent string of away victories? And just to complete the series of good news for the Rossoneri: they are now sitting second in the rankings, 1 point above Juve and 6 points behind their rival cousins. It’s a bit soon to be talking about “anti-Inter” team again, but what’s certain is that the Serie A race is on now more than ever. Tactically, with his tenure at Lazio getting more and more uncertain (he received the dreaded “vote of confidence” by his president this week), manager Delio Rossi took a big chance for the night: Fernando Muslera in net (yes, the very same guy who at the Olimpico let five in against the Rossoneri last year), while further up the field Matuzalem returned to the starting eleven and sided Meghni in a playmaking role, right behind strikers Zarate/Pandev. “Determination, combativeness and attitude“. These were the keywords used by Delio Rossi in the pre-match, and Lazio responded to the best of their abilities. Developing their moves through the middle, using the movement and speed of their strikers to pierce through the bulky Rossoneri defence. Unfortunately, while the Biancocelesti often caused panic around Abbiati’s area, they lost their way when it came to finishing things off. Pandev and Zarate had the best chances of the first half, the former with a turning close-range shot in minute 35 (shaving the corner of the woodwork), and the second with a good through ball neutralized by the Milan keeper. Alas for Lazio, their dangerous runs forward were only the prologue to Milan’s goal, generated once again by… who else but David Beckham. The Englishman took little time to understand Kaká’s creativity was on “pause” mode tonight, and thus turned provider with a great cross in the middle for Alexandre Pato, which the “Duck” slotted home with a right-footed instep at the near post. 1-0 Milan. The Beckham show certainly didn’t stop there. After yet another golden pass for Pato (waved offside) before the break, the England midfielder made full use of his other specialty: set-pieces. In the third minute of the second half, a perfect cross for Massimo Ambrosini meant assist nº2 for Becks and 2-0 Milan. A Roman night getting better by the minute for the Rossoneri. The second goal smoothed the way for the visitors, who comfortably controlled the game, keeping possession and relying on their counter abilities to put the game on ice. Kaká didn’t get one or two, but threethrough-on-goal chances to make in 3-0 for Milan, but squandered the great opportunities by either getting closed down by Muslera or slamming the ball onto the woodwork. Pato didn’t do much better. The game was all downhill for Milan at this point though, because Lazio’s self-confidence was gone. Rossi did what he could by taking Meghni off for Simone Inzaghi (followed by Kolarov & Dabo for Brocchi & Radu) but the Biancocelesti were a spent force, victims of the Rossoneri’s superior play. And with absolute lack of sympathy, the visitors finally made it 3-0 on yet another counter, initiated by Seedorf and finalized by Kaká. Game over. GOALSCORERS: 42’ Pato (M), 47’ Ambrosini (M), 83’ Kaká (M). LAZIO (4-3-1-2): Muslera – De Silvestri, Siviglia, Rozehnal, Radu (75’ Kolarov) – Brocchi (75’ Dabo), Ledesma, Matuzalem – Meghni (66’ S.Inzaghi) – Zarate, Pandev. (bench: Carrizo, Cribari, Manfredini, Mauri). 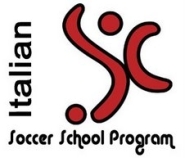 Coach: D.Rossi. MILAN (4-3-1-2): Abbiati – Zambrotta (85’ Darmian), Senderos, Bonera, Jankulovski – Beckham, Pirlo, Ambrosini – Seedorf – Kaká (85’ Shevchenko), Pato. (bench: Dida, Antonini, Emerson, F.Inzaghi, Ronaldinho.). Coach: Ancelotti. 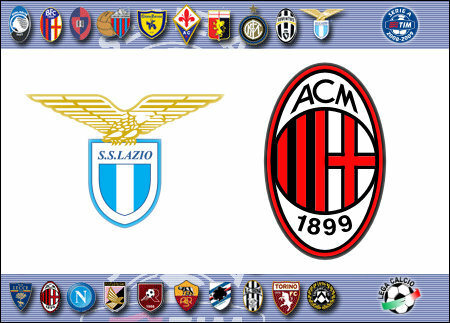 This entry was posted on Monday, February 2nd, 2009 at 2:23 pm	and is filed under Lazio, Milan, Serie A. You can follow any responses to this entry through the RSS 2.0 feed. Both comments and pings are currently closed. Fiorentina vs. Lazio Preview: A Case of ‘Don’t Fire on a Sinking Ship’?